Welcome to the future. 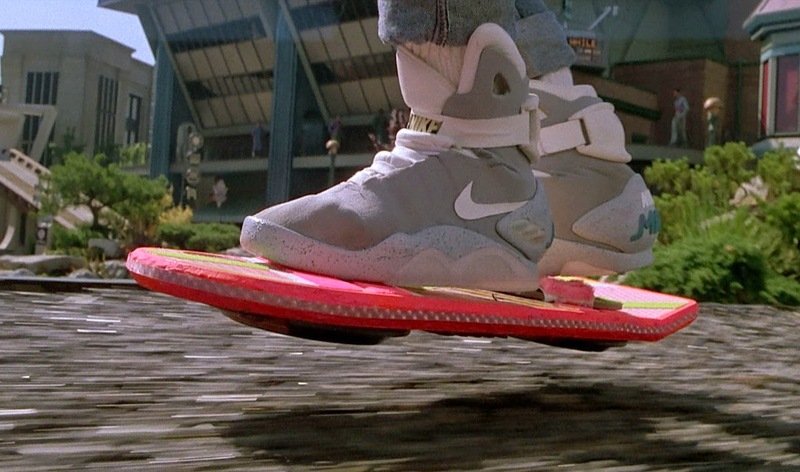 Not the flying cars, robotic future that the Jetson's envisioned, or even the hoverboard, self-tying Nike's from Back to the Future. It doesn't come as a surprise to Channel Professionals that things are changing faster than ever across the partner ecosystem. A perfect storm of new technologies, transforming business models, rapidly evolving competition, consumerization and economic forces have fundamentally changed the traditional supplier/partner relationship. Bill Gates keenly said that we overestimate the change that will occur in the next two years and underestimate the change that will occur in the next ten. Let's focus here on the next 12 to 24 months. Not only are things moving much faster, the relationships have become significantly more complex. Ten years ago, a solid email, portal, phone, advertising and events strategy was all that was needed to communicate effectively to partners and customers. Today we have more than 30 marketing vehicles in play, and the level of noise and clutter is, at times, out of control. So with that in mind, how do we plan for 2015? How do we recruit the right new partners, develop our current partners to be stars, and take our top performing partners to the next level? Five years ago the average partner had one device (usually a laptop or desktop). Today the average is in the 3-4 range including smartphones, tablets and perhaps a rudimentary wearable device. By 2018, top researchers predict that number to be 10. Cars, watches, smart walls, and other devices will drive new types of partner interaction and provide the platform for innovative selling and support tools. Top vendors today are using technologies such as GPS, cameras, video and social in new and interesting ways that would have been unheard of even a few years ago. Over 65% of partners report they prefer to use mobile as a primary source of doing business. With over half of all internet traffic now coming from mobile devices, many Channel vendors and distributors do not have a viable platform to leverage and grab a competitive advantage. Is your partner program still segmented by historic revenue? Perhaps you are thinking that a survey or partner advisory council meeting will give you the secrets to what is happening out there. In reality, there are hundreds of data points that allow you to understand partner performance and loyalty to your brand. If you were able to combine these into one powerful set of predictive and prescriptive analytics, what changes would you make in your program? Your partners keep telling you that they want better communication and support from your team. That doesn't mean sending more emails - it means understanding your partner deeper and connecting in the way that they prefer. What if your partner program was ultra-customized by individual person and company? Understanding the who, what, where, when, and why of each partner persona could be the biggest channel growth hack you can make in 2015. The recent surge in marketing automation popularity has not yet worked its way into Channel communication. The ability to set automatic triggers based on a partner’s behavior results in a new level of insight. Scoring each individual partner based on their actions can improve future communication and content to be more relevant and focused. The win here is implementing a drip campaign across the channel catering to each person based on where they are in the marketing/sales funnel. Surveys show that 95% of partners do not regularly use partner portals. In fact, unless they are forced to log in for deal registration or mandatory education to keep their status, many partners do not come at all. Channel marketing and communication has increasingly become a push versus a pull exercise. There is no magic in push - every individual is different and making your program easier and more accessible across the myriad of communication vehicles is a must (unfortunately). You think your company is complex to deal with? The partner ecosystem is large and diverse, with dozens of different specialties, business models and types. There are many sub-communities that have formed to serve these differences. These take the form of associations, online forums, social media, media groups, vendor & distributor groups, user and peer groups. Communities tend to be more focused and specialized and have people that support each other with common interests and challenges. What makes them powerful is the ability to influence through the implied endorsement of the larger membership. In many cases, participation is the only cost of entry. Social media is no longer the “new” platform and has proven not to be the utopia that was once promised. That being said, social is very important and is a core platform for communicating with the Channel. It is a place to amplify content, handle real-time conversations and extend branding and promotion. Running a mix of 5-6 social platforms as part of your overall communication strategy is important. Social media will provide a place where you can listen to your partners, engage on a different level and interact in real-time. Content marketing is becoming one of the most important tools for recruiting and nurturing your Channel. Finding your brand voice and sharing your domain knowledge with your partners on a consistent basis will build trust and keep them plugged in. When combined with #6 above, a solid piece of content will amplify itself across numerous channels and give multiple ways to re-purpose throughout the time period. As the old saying goes, you can't kid a kidder. So stop selling your best salespeople. Strong content - especially technical in nature - will go a long way to driving attention. Much like communities in number 5 above, the channel media have cultivated strong followings across multiple vehicles. Many vendors look at the media as a source of advertising and not much else. Over the past number of years, industry media has been forced to expand their offerings and deliver more value to their readers and sponsors. Getting access to their community of readers through co-marketing, sharing your updates and content, webinars, events and newsletters can be a very effective way to reach your established and prospective audience. It can be surprisingly cost effective as well with the right level of negotiation, time commitment and bundling. Yes, I said it. Direct mail! Most companies have abandoned direct mail over the past few years as the number of marketing vehicles have exploded. Depending on the size of your Channel, sending physical mail to partners can be a cost effective way to connect. Keep in mind the average age of Channel professionals has grown every year since the 1980s and this demographic tends to prefer face-to-face, mail and phone calls to electronic communication. Sending out innovative and useful sales kits can be done for only a few dollars per partner (or prospect) and may cost less than attending a tradeshow. Plus, you can achieve a high open rate and your competitors are likely not doing it. Many Vendors I talk to look at tradeshows as an industry "tax". It is an area where a lot of opportunity (and money) is wasted. Not having a visible leader in your business that can seek out the media, develop strategic partnerships, and recruit based on reputation alone. The vendors who take advantage of the tradeshow circuit by avoiding most of these pitfalls report it is there number one way to grow channel revenue. It all comes down to recruiting the right partners, developing current partners to be stars, and taking top performing partners to the next level. Happy New Year - And good luck in 2015!